BRUNSWICK (NEWS CENTER Maine) -- The L.L. 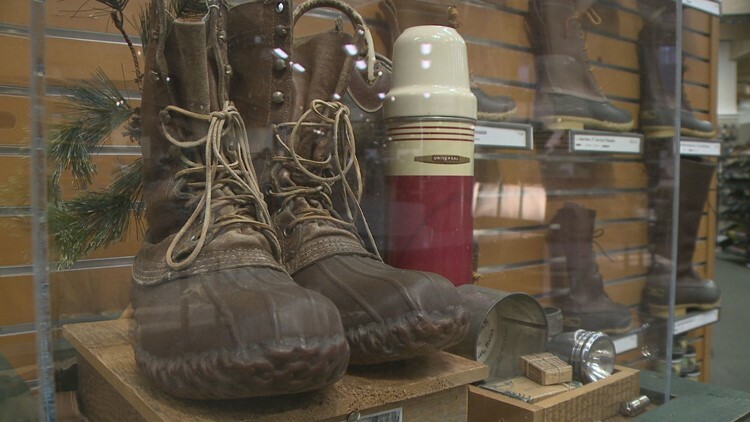 Bean boot has been in production for more than a hundred years and yet, it's still one of the most popular purchases from the Maine store. This time of year, the company ramps up its staff, ready to not only take those orders, but ship them out all over the world. L.L. Bean's manufacturing facility in Brunswick. With such deep roots, we wanted to know the real story behind the bean boot and how it's grown from the very first Maine hunting shoe in 1911. "It’s a very popular boot sort of starting especially in the fall and all the way through the winter," says Eric Smith, a spokesperson for L.L. Bean. Smith says the Bean Boot has seen it's popularity ebb and flow since the early 1990's. "Fashion finds the boot from time to time. We keep making it because people keep wearing it and using it, but it certainly does find it’s fame here and there," says Smith, who admits the company hasn't bothered chasing the trends with the boot. In fact, that was never L.L. 's goal when designing the very first Maine Hunting Shoe. "L.L. Bean came back from one of his many hunting trips with wet, cold feet, and he was determined to not to have to go onto the woods again with wet, cold feet... He came up with this brilliant idea to take the waterproof nature of a rubber boot but affix it to the flexible supportive, much more snug-fitting, upper of a leather boot. He had one of the many shoemakers of Freeport stitch it together for him and that’s how not only his business, but now our business was born," explains Smith. The hunting shoe was used on famous explorations, like the journey to the North Pole with Robert Peary and Donald MacMillan. Now, some still buy the Maine Hunting Shoe for just that; others buy the more popular Bean Boot, which looks similar, but has a more durable sole for all around use. 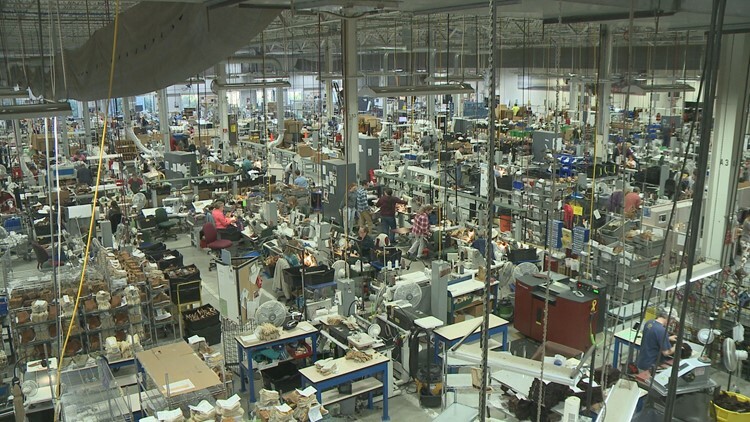 It's become so popular that within five years the Brunswick facility has more than doubled it's boot production staff, now employing 3 shifts of manufacturing through most of the year. In two separate production facilities in Maine, the boots are made by hand. Leather cut and sewn together; the soles formed in a mold from small rubber beads and then stamped with the seal of authenticity; and then the two cemented and sewn together. 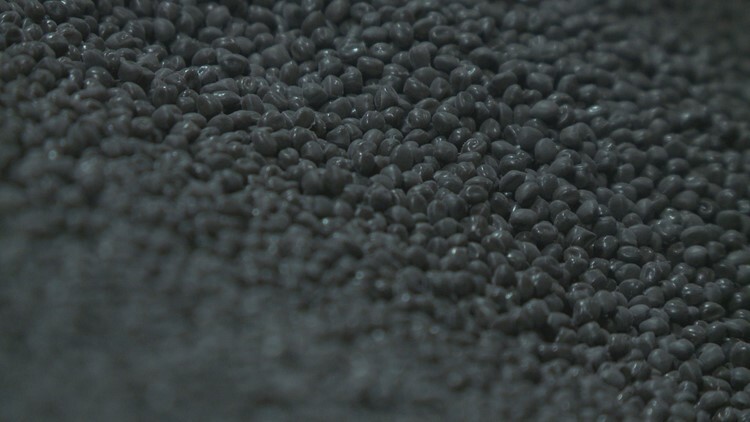 Rubber beads are melted into a mold to form the sole of a Bean Boot. This year, the company is expected to produce 700,000 pairs of Bean Boots; that's 3,800 per day. "The fact that we’ve always made it here in Maine, the same attention to detail and craftsmanship has carried it for more than 100 years, it’s really why people come back to it is such a great traditional outdoor piece of footwear," says Smith.